In real life he was a hard-charging basketball player through high school and college. In TV and the movies, he has gone head-to-head with serial killers, assorted bad guys… even mysterious paranormal forces. 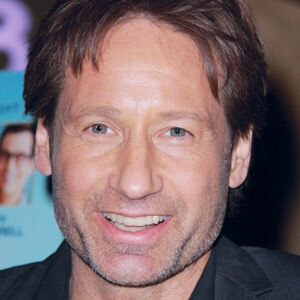 So would you believe that David Duchovny, who played Agent Fox Mulder in The X-Files and starred in countless other large and small-screen productions, lost his front teeth… in an elevator accident? “I was running for the elevator at my high school when the door shut on my arm,” he explained. “The next thing I knew, I was waking up in the hospital. I had fainted, fallen on my face, and knocked out my two front teeth.” Looking at Duchovny now, you’d never know his front teeth weren’t natural. But that’s not “movie magic” — it’s the art and science of modern dentistry. How do dentists go about replacing lost teeth with natural-looking prosthetics? Today, there are two widely used tooth replacement procedures: dental implants and bridgework. When a natural tooth can’t be saved — due to advanced decay, periodontal disease, or an accident like Duchovny’s — these methods offer good looking, fully functional replacements. So what’s the difference between the two? Essentially, it’s a matter of how the replacement teeth are supported. With state-of-the-art dental implants, support for the replacement tooth (or teeth) comes from small titanium inserts, which are implanted directly into the bone of the jaw. In time these become fused with the bone itself, providing a solid anchorage. What’s more, they actually help prevent the bone loss that naturally occurs after tooth loss. The crowns — lifelike replacements for the visible part of the tooth — are securely attached to the implants via special connectors called abutments. In traditional bridgework, the existing natural teeth on either side of a gap are used to support the replacement crowns that “bridge” the gap. Here’s how it works: A one-piece unit is custom-fabricated, consisting of prosthetic crowns to replace missing teeth, plus caps to cover the adjacent (abutment) teeth on each side. Those abutment teeth must be shaped so the caps can fit over them; this is done by carefully removing some of the outer tooth material. Then the whole bridge unit is securely cemented in place. While both systems have been used successfully for decades, bridgework is now being gradually supplanted by implants. That’s because dental implants don’t have any negative impact on nearby healthy teeth, while bridgework requires that abutment teeth be shaped for crowns, and puts additional stresses on them. Dental implants also generally last far longer than bridges — the rest of your life, if given proper care. However, they are initially more expensive (though they may prove more economical in the long run), and not everyone is a candidate for the minor surgery they require.